It’s no fun being sunburned when the majority of your daily interactions include two rather rambunctious dogs and a gaggle of equally rambunctious preschoolers. Don’t touch Miss Kat! I want to shout as my squirmy charges enter the dance studio on the day after my return from Miami, No hugs! But with last week’s snow days, I’ve missed the little buggers and apparently they’ve missed me too. Before I know it, there are approximately fifteen sets of tiny hands clawing at my thighs. I pry their fingers off one by one and send them to remove their shoes and get ready for class, trying to ignore the stinging sensation in my legs: it’s not their fault that Miss Kat was stupid enough to go to Miami, make out with a perfect stranger and then fry herself to a crisp in a span of ninety minutes. If only I’d followed Rule #1 of the dance studio (“Take care of our bodies,” which is clearly written in on the door, right above “Take care of our friends” and “Take care of our studio”), I wouldn’t find myself in this predicament. Yeah right, I replied, like I’d be stupid enough to give it to you now! This isn’t the first time I’ve made the mistake of apologizing to a man for something he’d already forgotten. I won’t go into details about my last foot-in-mouth incident, because those of you who know me personally may also know the man in question, but I spent my last night in London feeling like a prize idiot this past summer and evidently, I haven’t learned a damn thing. PSM#2, for his part, is now determined to find my blog. Being the sensible girl that I am (or at least strive to be), I deleted his number shortly after New Years but no sooner than I stepped off the plane from Miami than a local number popped up in my inbox: What’s it gonna take for me to see your blog? I not sure how (or even if) I should respond. It occurs to me that I have the upper hand, at least momentarily. I could use PSM#2’s newfound fascination with my “experiment” to wrangle myself a third date, but do I really want to do this? Whatever the reason, it seems that the real question is not can I get another date PSM#2 but should I? By all mean get another date, but on no account give him your blog address. If he cannot trace it he is not smart enough to deserve your attention! By the way I love the photo in the tree and the cartoon! Wont take him long to find it though…. I woudl do the date. Coffee and cake, see how it goes. Perhaps there is a reason why this has all happened? Sigh… ever the optimist 🙂 I love it! I would give PSM2 a second try…. It is gray, dreary, and wintery in Philly, so what have you got to lose. If he shows poor manners, don’t give him a chance for a strike 3. I think if he does not offer to walk you home, tell him he should and check his reaction. you would probably feel very satisfied with yourself. As a professional chauffeur, That deserting a date at the corner is a bit of a deal breaker IMO, unless it was a fluke last time. 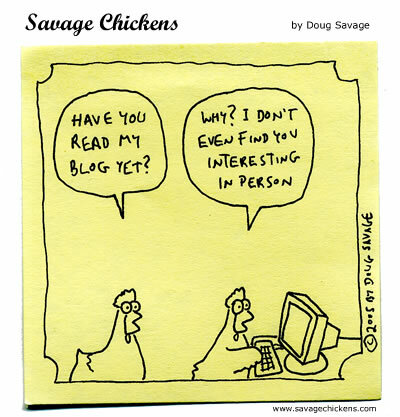 Lastly, how hard is it to find your blog? He has either found it already, is not really interested but is using it for conversation, or is not too bright. I say go out with him again. And give him someone else’s blog address to get him off your back about it. 🙂 Feel free to give him mine. If he can take it ……. Glad I found your blog, btw ~ I love your writing style & wit! Either that or the guy is clearly living in the Dark Ages if he hasnt Google Stalked you yet. Damn! Why didn’t I come across your comment BEFORE composing my reply? I’ll be posting my way-less-cool response tomorrow.